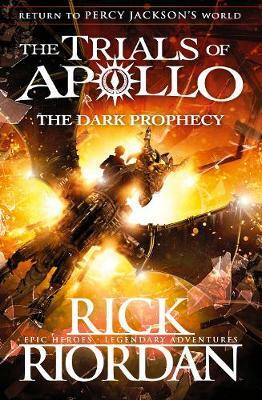 Penguin presents the unabridged, downloadable audiobook edition of The Dark Prophecy by Rick Riordan, read by Robbie Daymond. 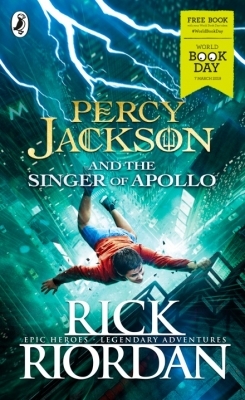 The god Apollo, cast down to earth and trapped in the form of a gawky teenage boy as punishment, must set off on the second of his harrowing (and hilarious) trials. He and his companions seek the ancient oracles - restoring them is the only way for Apollo to reclaim his place on Mount Olympus - but this is easier said than done. Somewhere in the American Midwest is a haunted cave that may hold answers for Apollo in his quest to become a god again . . . if it doesnt kill him or drive him insane first. Standing in Apollos way is the second member of the evil Triumvirate - a Roman emperor whose love of bloodshed and spectacle makes even Nero look tame. 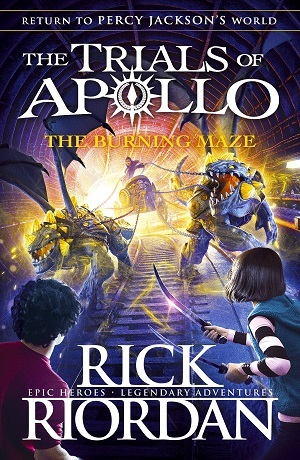 To survive the encounter, Apollo will need the help of a now-mortal goddess, a bronze dragon, and some familiar demigod faces from Camp Half-Blood. With them by his side, can Apollo face down the greatest challenge of his four thousand years of existence?